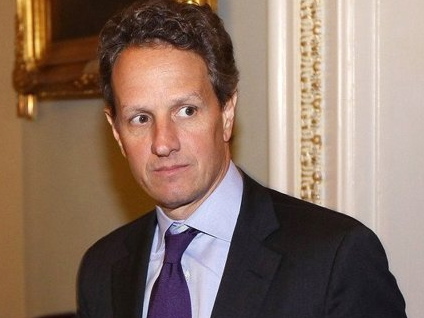 Geithner: "We Write 80 Million Checks A Month"
"Just remember, this is the United States of America. We write 80 million checks a month. There are millions and millions of Americans that depend on those checks coming on time," Treasury Secretary Tim Geithner told "FOX News Sunday." "Not just people that supply our military, but people who get Social Security benefits, Medicare [and] Medicaid benefits. And we can not put those payments at risk and we do not have the ability to limit the damage on them if Congress fails to act in time." George Will: "Congress Being Resuscitated By Presidential Arrogance"
Huffington: Debt Ceiling A "Completely Artificial Crisis"